In my early career as a marketing and HR consultant, I worked for an American company that had clients all over the world, and we traveled extensively overseas. I was hard-working and ambitious and increasingly tried to prove my value by accumulating more tasks, traveling more often, and resting/sleeping less. The process took a physical toll and I started suffering from a severe hormonal dysfunction that affected my pituitary gland, thyroids, and ovaries. A few months after my diagnosis, I looked in the mirror and saw someone I barely recognized. The condition made me lose a lot of weight and acquire aging spots on my face. My hair, once full and long, started falling out; first, it got thinner and dull, then holes started to show up on top of my head revealing my scalp. I did not feel so ill, but I looked like an ill person. The doctors told me that dysfunction was not life-threatening, but other than ruining my looks, in the long run, it could also affect my bones, memory, the capacity of bearing children, to say a few. The treatment involved hormones intake and with 40% of my family having suffered from cancer, I was terrified of the side effects of my treatment. To make matters worse, after having worked hard on a business deal that week, my boss asked me not to attend to our party because I looked fragile, and it might affect my credibility with clients if they thought that I was ill.
That was the greatest wakeup call. I made it a mission to push fear and depression aside and fix my problem. I engaged in the treatment, aided by special diets and exercises, and used photography to monitor my results. I took pictures of myself once a week no matter how bad I looked and kept a photo-log. Studying those images taught me how to highlight my good features and disguise the ones that were not so great. Since I had been practicing portrait photography since my teens, I had already mastered the tricks of looking good on camera. But through my illness, I gained full awareness of my body, and how to successfully improve my image when I looked bad. 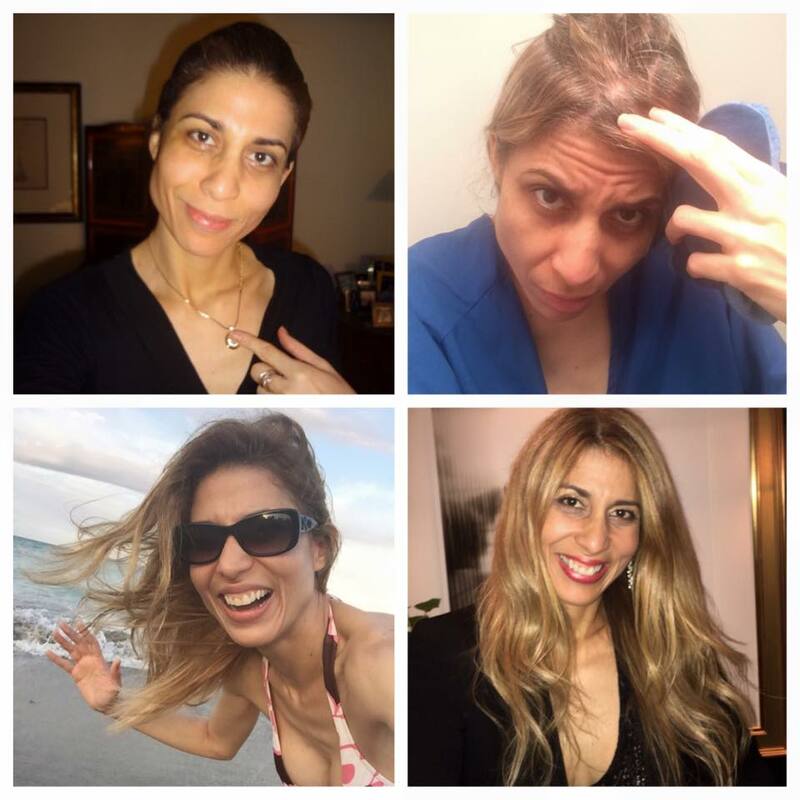 I discovered new resources like special makeup to even my skin tones; hair interlaces and wigs that seemed natural, and the power of wearing the right colors and tailoring my wardrobe for a perfect fit. Most importantly, I learned how to love myself when I was down, and that it was possible to reinvent a new — perhaps an even better — me, as many times as I needed. During a two-year recovery period, I created and perfected my signature method, using reinvention photography. When I was well, I volunteered to teach my 5-step process to cancer survivors and others recovering from illness and depression. 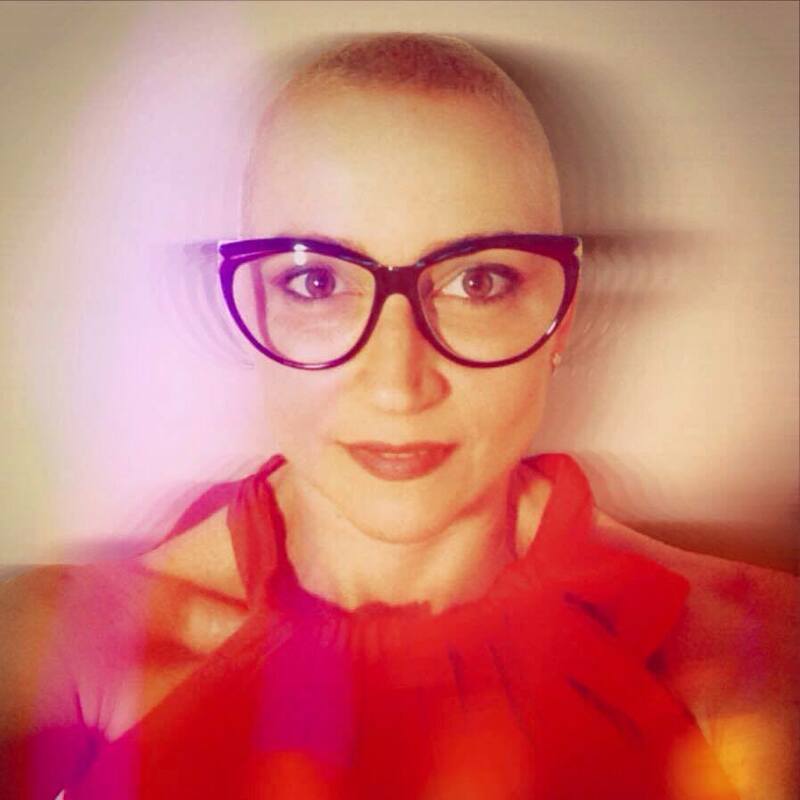 After losing hair or a breast, a woman is feeling anything but feminine. She wants to do anything but taking photographs. So, my job is to demystify the idea that taking photos is for beauty, for sharing online. Photos can be the most efficient self-knowledge tools during a crisis and it can help one see the light of hope and change in the end of the tunnel. It starts by knowing how deep into the tunnel you are, and in which direction the light is, so you can move steadily and confidently toward it until there is no more darkness. To help these women recover their femininity and discover what worked for them after the trauma of aggressive cancer treatments, I created a production wardrobe with all types of accessories, a variety of wigs in all shapes and colors and outfits in a diversity of textures, designs and materials for them to experiment with. Makeup is also a fundamental part of enhancing one’s facial beauty and I constantly gave tips to “my girls” and hired makeup artists to visit our studio. I taught then how to become more photogenic, how to highlight their best features and disguise the ones they were not crazy about. I showed them how to make the most out of their body types, and the body language to exude charm and confidence. The results of the initial years of my volunteer work with cancer patients was extremely effective and gratifying. Through word of mouth, people experiencing different self-esteem issues due to divorce, aging and other life events asked for my help and I started to create new, customized programs and devote more time to it. My company, PictureCure, in New York City was the natural result of this work that became my life passion. Participants doing facial exercises to achieve great results. In the photography therapy method I created, "before and after" pictures are not about shooting someone with and without makeup or in different outfits. It is documenting new routines that will help you boost your self-esteem, become more confident and improve your life-style. This exercise is for those who are bored, depressed, in need of a change. Sometimes, our circumstance won't change and the frustration can swallow us and keep us awake at night. In any case, consider this: whenever you can't change the world, challenge your body. New sports, new adventures, new exercise programs. Physical challenges create a chemical response that stimulates your brain and gives you back the drive to find new options and having a happier life. Try this: Create a new routine and make it into your personal project. Set up your camera using a tripod and take about 5 pictures of yourself on DAY 1. Body and face. Don't pose. Don't force a smile. Think about how you feel now and let the emotion - good or bad - be reflected on your expression. If you have been angry or frustrated about your job or personal life, let it show. You'll do this photo session once a week - it takes less than 10 mins. And hopefully, after one or two months you will start seeing a visual progress in your body. Muscles, lines on your face, skin quality and a more refreshed expression. Keep a "scientific journal" to write the physical changes you see. Don't write about your emotions, just describe how they reflect on your body: eyes and facial expression. How your thoughts and feelings change along the weeks after you've engaged in new habits and activities. Write any results you see. Remember that while observing your photos and writing your reports, you are not yourself. Don't be sorry for your pain or frustration. Be the observer; as precise as possible and treat the experiment as something you've done dozens of times and always works. Be persistent. At some point in life, all of us face a moment where deep suffering or lack of purpose drive us to despair or stagnation. Before trying antidepressants, there are some natural alternatives that ( if done consistently) have scientifically showed results: exercises, meditation, exposure to sunlight, laughter, to say a few. I'm focusing on exercising here. 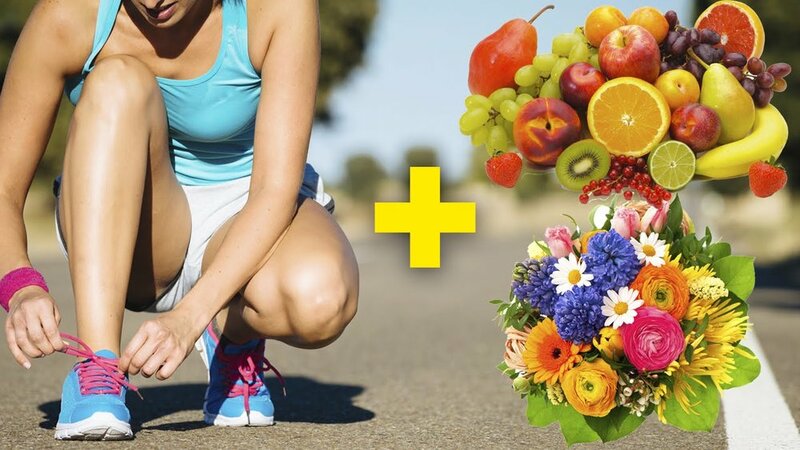 Vast researches from numerous universities have stablished that regular exercises make the brain produce endorphins and give us a sense of happiness and well-being. For this life-changing project I propose, going to the gym may not be enough. Unless you do it daily and have a strong purpose, such as losing weight or increasing muscle mass. Otherwise, your goal should be finding a type of exercise that is also challenging. For the body, find something that requires movement, burns calories. If you are not in your best shape or recovering from injury, you can always start slow and add new steps later. But it is essential that your activity is mind challenging. I tried fencing as exercise. It is aerobic, with all its back and forward movements to attack and defend yourself, and it requires strength, so it also encouraged me to work on my muscles. Mind-wise, because it is competitive, elegant and exciting, I was far more prone to attending fencing classes, than keeping my previous routine of weight lifting and spinning. Exercising more often and harder changed my brain chemistry in weeks, bringing clarity to overcome my problems. Challenging my body also brought up new facets of me that I hadn't seen or had forgotten. The change I saw in me as I studied my photos, created a change in the scenery, increased my hope in better times to come, and made it a lot easier to deal with what was bothering me at the time. Going through this process is life-changing, but you'll need reminders to encourage you during possible fall-backs. That's when photographing the process makes all the difference. That rainy Monday after work, when you just want to watch TV and eat chocolate? Take a shower to wash out the bad mood and stagnation and go watch your photo journal. See your progress. See that you who's been exercising, trying something new, aiming self-improvement. Don't break the cycle. When you are down is when you need to go out and exercise or, at least, go for a fast-paced walk. When I studied psychology in college, I was always discussing with my professors different ways to battle grief, depression and all those sinking feelings that kept people from fully living their lives. In my own experience, I discovered that a very effective way out of such feelings was trying activities that took me completely out of my comfort zone - even scared me a little. I tried different ones, along a twenty-year period and they always brought me back to balance. Some of my clients tell me that they reignited their fire trying ski diving, and other radical sports. For others, the challenge was gradually increasing the level of difficulty of their hiking, or perfecting a hard position in their yoga classes. Others, started training for a marathon. The bottomline is: don't wait for life to change. Look for something out of the box to change your mind set, whenever you cannot change the circumstances. Find purpose again. When you start changing yourself, you regain the joy of living and have more strength to fight for what you want. Consequently, your environment will change, or at least, your perception of it will. Here's my latest personal project using this method. Feeling depressed after the loss of a loved one, I tried jet-skiing. I had always found speeding exciting, but too dangerous (and irresponsible) to try in a car or motorcycle. Jet-skiing is like riding a motorcycle and not getting (too) hurt if you fall. You can reach really high speed and it's very exciting. For me, it did the trick because it also offered that hint of fear. I can swim and I'm constantly in boats with friends and clients, but I'm afraid of the sea. Something related to watching "Jaws" when I was 7, I guess! So, here's my advise: if you'll try something that scares you, make good use of the power of photography. Before my first ride, I sat on the jet-ski and asked someone to take my WEEK 2 picture. My DAY 1 picture had shown a sad woman, with dead looking eyes and no willingness to get out of her couch. But she had decided to go on that adventure to find her "lost self", or perhaps, a most evolved one, shaped by her grief. I looked at my photo by the jet-ski and imagined myself riding that thing. It was a mix of fear and excitement. What if I did something wrong? What if I hit something or worse, someone!? Very uncomfortable, but that was the spirit. I had been upset for too long, and if I wanted to break free from that mind-set, I had to put all my mental focus on something that would bring new emotions. I drove with the instructor first and it was scary-fun. Then, when I tried it by myself, it was scary, period. There were rocks, boats and jet-skis around. I had to drive fast, consider all those variables and try to forget that I was in deep waters, with zero visibility of what was under me. I did not give up. The faster I went and the deeper into the sea, the harder I trembled. As it had happened before, the adrenaline rush made its magic and started to change my mind set. Trust me, when you face any type of physical danger, you realize that life is truly too short to waste in grief, anger or dueling over the past. You don't need to survive a hostage situation to realize that. And then, while you are at risk, you don't care about a big purpose or the lack of it. My only purpose while driving that jet-ski, flying over the 60-mph mark, was not getting myself or anyone else hurt. On a second stage, which I thought would never come, I experienced a new type of control, and started to have some fun with the adventure. The combination of excitement and fear was a powerful injection to the veins, and it brought me back to my best. After three weeks, I could see a happier face on my photos. Once you feel good enough, you can engage in other exciting activities that are not so over the top. I did not want to become addicted to the adrenaline rush, just using it to break free from unhealthy mind sets. In my case, fencing could be the stimulating weekly activity for my body and mind. Jet-skiing worked so well for my depression that I stopped before I became comfortable with it. The hint of fear remains, and flying over the waters continues to be my big crisis plan. Reinventing yourself is a joint process of leaving behind your old baggage filled with unproductive actions, habits and thoughts, and planning a new life. We may be talking about a wrong line of thought, such as the notion that you are worthless or just another drop in the ocean, incapable of making a difference in your social or professional circles. It can be a bad habit, or an obsessive relationship virtually impossible to quit. It can be a hard divorce that shook your self-esteem or the death of a loved one. Your old baggage is anything that is stopping you from being your best self and living the best life you can. So, overcoming problems and improving ourselves is a process of faith. The faith that by throwing away the familiar comfort zone and leaving the “thing” or the “someone” behind, we will be happier - even when by “someone,” we mean our old selves. Normally, making life-changing decisions is a hard process. The examples above include long-time habits or people, who, good or bad, dead or alive, are still deeply rooted in our hearts. Your hand reaches out for your instant pleasures, to eat that food that’s going to increase your cholesterol levels, or to call the lover you should stay away from. To become your best self you need huge amounts of conviction that your plan is better for you than your cravings. Try this: Put on paper all the details of your personal or professional plan. Don’t simply state your goals: I want to lose 15 pounds. I want to get a better job. I want to leave my abusive spouse. Take the time to sit somewhere no one will bother or interrupt your process, and start making your new life plan. Think of your problems, one by one, and walk their path to the end. See problem number one; feel what it does to you now. Then imagine if you do nothing to change it, how much damage it will have caused by the end of a year. Then by the end of five years. Then think of yourself in your death bed, seeing your life in flashback. How much that one problem prevented you from being happier, healthier, more fulfilled? Repeat this exercise around all the problems, addictions and toxic people in your life. Have the courage to walk the full path holding their hands and see who you will be in the end of that road. When you are finished, this emotional journey will have brought enough clarity for you to see what you don’t want in your life. Write each item down. Name them and attach the fresh emotions from your journey to them. Stare at them without seeing the pleasure they temporarily give you, but their destructive outcome in the long run. Attach a strong negative emotion or result that you saw along that journey to each one of your problems. This is the first step to identify all bad things in your life, and see them for what they truly are, regardless of the temporary pleasures they may offer. It goes for stagnation, lack of ambition at work, and dangerous addictions such as food, alcohol, drugs, or toxic love. Then take a deep breath, and think of the person you will become without each of those problems. The person you will become if you create a new lifestyle for yourself. Close your eyes and go on a different journey now. On your own, through an easy, beautiful path where you feel absolutely safe and confident. Envision the person you are there, love that person and that future. How much better is your home life? Your career? Your health? Build up details.Take a moment every day to do this exercise. It can be in the commute from work or during your shower. Anytime you are alone. But let it become your new positive habit. Add a new block to your new foundation every day, then start rising the walls. It may end up being a better house or a mighty castle. It is up to you. If you want to lose weight, picture yourself fifteen pounds lighter. See every detail of your body that will change for the best. Image your new wardrobe, all the outfits you’ll be able to wear and look awesome in. Imagine your health and energy level getting better. Imagine yourself being more athletic, faster, happier, more interesting, attractive, and charismatic. Cultivate this relationship with your new self. Think of the details of your new routine, and the people you will meet and interact with. Wanting to achieve a goal or even writing it on paper doesn’t create the action necessary to make it real. But over the centuries, in all cultures, emotions and faith have changed the world. Use the right emotions to guide you. See your goal, and enjoy the pleasures related to that story that you are telling yourself about your bright future. For now, that is only a fantasy. Yet, if you start growing the motions you feel while having such fantasy, the desire to achieve your goals will become stronger than your tendency to let things go unfinished and the desire of giving in to your bad habits and cravings. This exercise can be done for personal or professional life, and I always tell my clients about my experiences with personal challenges at work, in love and getting ill. I also share great stories while volunteering to help cancer survivors in their reinvention process. If the pictures in your mind associated with the right emotions can be powerful enough to strengthen your convictions and move you from mere willingness to action, imagine what real images can do. At PictureCure, we help people establish their goals and add layers to their self-improvement process. Someone who feels uncertain about their image or the professional qualities they have, may find it difficult to envision their better selves in the future, and will certainly have trouble achieving their goals. As clients come to us and tell us their goals, we help them create that persona and capture it in pictures or video interviews that will keep their motivation up. This is a version of photography therapy that we’ve been using effectively for ten years. When you actually see yourself wearing different outfits, using a better body language, and ultimately, delivering an interview about a subject that you are passionated about, it ignites the fire of self-improvement inside of you. Those visual aids will keep your self love and self-esteem in the highest place and you will finally start seeing your dreams come true. Next time you are afraid of sharing ideas with your boss, or are tempted to abandon your diet, you will remember that great version of you, and take positive action. Being the new you is so much more fulfilling than being the one that is under-delivering. At this point, instant pleasures, fears and stagnation make no sense. Most of the time we desire a better future or a better us, but don’t find the conviction and strength to make substantial changes. We want the results that we imagine, but we don’t even imagine them hard enough, with enough details to see us there, living that new life. We don’t find the power to make it real. When you reach that point, the execution of your personal or professional plan becomes viable and exciting, and starts showing results. 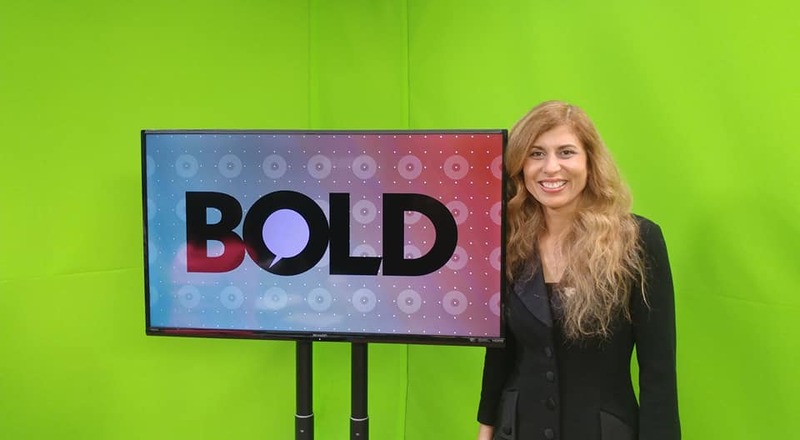 Tomorrow I will be featured at Bold Tv, as an industry expert, speaking about the importance of having a perfect headshot on your professional profile and how it may increase or decrease your chances of getting a great job and boost your personal brand. Stay tuned! 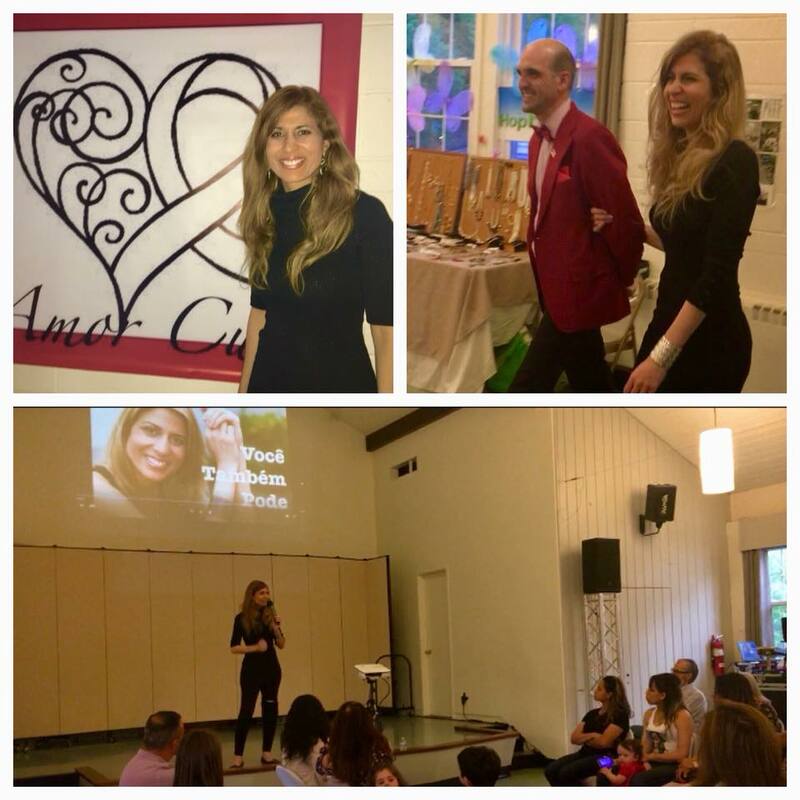 I had the pleasure of being a keynote speaker at the Cancer Fashion Show “Love Heals” tonight. I met the most amazing, altruistic people and I am honored to support this community! Health and One's Sense of Self. “Me time” has always been an expensive asset, and the first thing people tend to neglect when they are busy or focused on something important is their health. Artists chain-smoke over their canvases claiming that what matters is their creation. Writers spend nights awake crafting their novels. Most of humanity takes health for granted and just keeps pushing through insane routines of handling jobs, family, and numerous obligations with little or no time for basic self-maintenance. One thing I learned by working with cancer survivors was that neglecting your body is not worth it. Not for art, duty or any other reason. Our genius is definitely in our minds, but the vessel that holds it is far more precious for no treasure can be contained in a broken jar. Our DNA can cause considerable, unpredictable mess. We don’t need to feed the fire by deliberately neglecting our basic health care. In my personal experience, I noticed that even one’s intellectual or artistic genius may be compromised by illnesses or accidents that deeply change one’s life-style. Being ill or even temporarily not having control over one’s body can be mentally disturbing to the point of affecting one’s sense of self. In the beginning, the physical issue causes pain and discomfort, but it remains alien. A novelty. When recovery takes too long or there is no permanent cure for a health problem, the damage may be greater in the mind. How many stories have we heard of talented people whose lives were cut short due to stupid illnesses? How many athletes have found themselves prisoners of a wheelchair, longing for the days they could merely walk? Once one gets used to being ill or incapacitated, he or she is no longer their familiar self and they often don’t know how to readjust to social and professional life. If objective reevaluation and reinvention does not occur, depression and even death are common next steps. So, if you are already in this gray area, look for help. And if you are not, step back out of your robotic routine for a while. Bad things don’t happen only to other people and prevention is the best medicine for most problems. No matter how busy you are, find time to exercise a little, to have a healthy meal, to sleep enough, and to do your annual tests. The first step of reinventing ourselves may be simply realizing how fragile our bodies are; how much they depend on us; and how many extra years of life daily care can buy us. A great photoshoot is not only about lights and production to make you look attractive. Its main purpose is to capture your personality and “presence" because a powerful self-image conveys confidence and inspires trust. The right picture can make all the difference when it comes to landing a new job, promotion, or date, or being accepted in a club or organization. We all need that power to boost our personal branding, no matter if we are thought leaders and CEOs or an individual recovering from a period of illness. The problem is, not all of us are extroverts or feel comfortable being photographed. So, we are at the photographer’s mercy to make it happen for us. When you receive our training, you will master the art of controlling your own image (in photos and in person) maximizing your chances of having a consistent, optimal image along your entire life. Need help to put together the perfect dating profile? When it comes to online dating, the greatest issue is normally our profile - we don't know what to say, our photos send the wrong message, and in the end, our profile doesn't translate who we truly are, making it hard to find the right match. Valentine's Day is coming and PictureCure is offering an exclusive service. We'll interview you and prepare a customized photoshoot to show not just your best looks, but also the traits of your personality that will attract the prospects you are looking for. We can help you write your profile and pick the production that does you justice. Give love one more chance. Now with the right tools! PictureCure introduces its newest and most customized experience - "Pictorial": The story of your life told through pictures. We are proud to announce that Liza Andrews is cooperating with the greatest schools of design in New York to create fashion editorials for new stylists. The material will be submitted to multiple online and printed magazines in the US and abroad. Editorials should be out in 2018! We are thrilled to announce that our PHOTOGRAPHY THERAPY CLUB has been a success! We are over 1,000 member and growing. The club was created so that our former clients wouldn't lose the encouragement to go on with their goal-achieving programs, but it became much more than that. In this online private group they have access to other members, videos, articles, updates on PictureCure's method and direct access to Liza Andrews for questions and feedback. Become a PictureCure client (or soon, acquire our book) and gain access to a life-time of support that will change your life. Become your better self. We're waiting for you! PictureCure had the privilege of doing the photoshoot for Michelle Molina, one of the top contestants for Miss Philippines U.S.A in Los Angeles. We are rooting for you, Michelle! Photography Therapy for self-improvement: challenge your body and you will change the world. Try this: Create a new routine and make it into your personal project. Set up your camera using a tripod and take about 5 pictures of yourself on DAY 1. Body and face. Don't pose. Don't force a smile. Think about how you feel now and let the emotion - good or bad - be reflected on your expression. If you have been angry or frustrated at your job or personal life, let it show. You'll do this photo session once a week - it takes less than 10 mins. And hopefully, after one or two months you will start seeing a visual progress in your body. Muscles, lines on your face, skin quality and a more refreshed expression. Keep a "scientific journal" to write the physical changes you see. Don't write about your emotions, just describe how they reflect on your body: eyes and facial expression. How your thoughts and feelings change along the weeks after you've engaged in new habits and activities. Write any results you see. Remember that while observing your photos and writing your reports, you are not yourself. Don't be sorry for your pain or frustration. Be the observer; as precise as possible and treat the experiment as something you've done dozens of times and always works. Be persistent. At some point in life, all of us face a moment where deep suffering or lack of purpose drive us to despair or stagnation. Before trying antidepressants, there are some natural alternatives that ( if done consistently) have scientifically showed results: exercises, meditation, exposure to sunlight, laughter, to say a few. I'm focusing on exercising here. Vast research from numerous universities have stablished that regular exercises make the brain produce endorphins and give us a sense of happiness and well-being. For this life-changing project I propose, going to the gym may not be enough. Unless you do it daily and have a strong purpose, such as losing weight or creating muscle mass. Otherwise, your goal should be finding a type of exercise that is also challenging. For the body, find something that requires movement, burns calories. If you are not in your best shape or recovering from injury, you can always start slow and add new elements later. But it is essential that your activity is mind challenging. I tried fencing as exercise. It is aerobic, with all its back and forward movements to attack and defend yourself, and it requires strength, so it also "forced" me to work on my muscles. Mind-wise, because it was competitive, beautiful and exciting, I was far more prone to attending class than keeping my previous routine of weight lifting and spinning. Exercising more changed my brain chemistry bringing clarity to overcome my problems. And challenging my body also brought up new facets of me that I hadn't seen or had forgotten. The change I saw in me as I studied my photos, created a change in the scenery, increased my hoe in better times to come, and made it a lot easier to deal with what was bothering me at the time. When I studied psychology in college, I was always discussing with my professors different ways to battle grief, depression and all those sinking feelings that kept people from fully living their lives. In my own experience, I discovered that a very effective way out of such feelings was trying activities that took me completely out of my comfort zone - even scared me a little. I tried different ones, along a twenty-year period and they always brought me back to balance. Some of my clients call me to tell that they reignited their fire trying ski diving, and other radical sports. For others, the challenge was gradually increasing the level of difficulty in hiking, or perfecting a hard position in their yoga classes. Others, started training for a marathon. The bottomline is: don't wait for life to change. Look for something out of the box to change your mind set, whenever you cannot change the circumstances. Find purpose again if you lost it. When you start changing yourself, you regain the joy of living and have more strength to fight for what you want. Consequently, the environment you're in will change, or at least, your perception of it will. Here's my latest personal project using this method. Facing sadness and a sense of loss after my divorce, I tried jet-skiing. I have always found speeding exciting, but too dangerous (and irresponsible) to try in a car or motorcycle. Jet-skiing is like riding a motorcycle and not getting (too) hurt if you fall. You can reach really high speed and it's very exciting. For me, it did the trick because it also offered that hint of fear. I can swim and I'm constantly in boats with friends and clients, but I'm afraid of the sea. Something related to watching "Jaws" when I was 7, I guess! So, here's my advise: if you'll try something that scares you, make good use of the power of photography. Before my first ride, I sat on the jet-ski and asked someone to take my WEEK 2 picture. My day 1 picture had shown a sad woman, with dead looking eyes and no willingness to get out of her couch. But she had decided to go on that adventure to find her "lost self", or perhaps, a most evolved one, shaped by her own suffering. I looked at my photo by the jet-ski and imagined myself riding that thing. It was a mix of fear and excitement. What if I did something wrong? What if I hit a rock or worst, another jet-ski!? That was the spirit. I had been upset for too long, and if I wanted to break free from that mind-set, I had to put all my mental focus on something that would bring new emotions. I drove with the instructor first and it was scary-fun. Then, when I tried it by myself, it was scary, period. I did not give up. The faster I went and the deeper into the sea, the harder I trembled. The experience instantly started to change my mind set regarding what I wanted to do with my life. Trust me, when you face any type of physical danger, you realize that life is truly too short to waste dueling over the past. You don't need to survive a hostage situation to realize that. And right then, you don't care about a big purpose or the lack of it. My only purpose while driving that jet-ski, which was basically flying over the 100 mile mark, was not getting myself or anyone else hurt. On a second stage, that I thought would never come, I experienced a new type of control, and tried to have some fun with the adventure. The combination of excitement and fear was a powerful injection to the veins, and it brought me back at my best. After three weeks I could see a happier face on the photos. Jet-skiing worked so well that I stopped before I became comfortable with it. The hint of fear remais, and flying over the waters continues to be my big crisis plan. Days of meditation & Days of Jet-skiing: document your life. Use photos to inspire you and help you find your best self. Regarding where to place your hands the best options are these or the combination of them: Loosely by your side, on your hips, in your pockets or both hands crossed on your chest. One of my favorites poses (that can be easily used both on LinkedIn or in casual social media) is crossed arms. In that case, pull your shoulders back a little and keep stomach muscles in check. If you are not a model (in which case you don’t choose your outfit), avoid hats for they form shadows on your face. Professional cameras show every pore and if you don’t want to wear corrective makeup, try to have a great night of sleep before your session to avoid dark circles and bags under your eyes. Avoid food that makes you retain fluids, like those rich in salt. Pick up a color to contrast against the background (in studio or outdoors) - if you are wearing a dark suit, pick up a red tie. Solid colors are less distracting than patterns, and you want the attention to go to you. So, if you choose a tie with a pattern, make sure it’s a discreet one. If the photoshoot is informal, don’t stick with the basics, try sweaters or shirts with vibrant colors. Also prefer solid colors. Avoid white pants. If you are showing arms or chest, five to ten push-ups before starting the session will pop up muscles and bring color to your face. Face wise, practice your smile in front of the mirror. Make sure that you smile with your eyes too! Practice with your phone as much as you can. The more you do it, the more you'll know what works for you and the less shy and more confident you will become in front of the camera. More on the general tips. In our aim to improve the life quality of cancer survivors, on May 18th, my company, PictureCure, will be supporting the Amor Cura (Love Heals) Project, founded by Ellen Mello. The evening's fashion show, held in Manhattan, will feature models who are all cancer survivors. PictureCure will donate a full Photography Therapy + Photoshoot for one of the participants. Good luck! Our workshop on how to become photogenic teaches how you can have a great smile on camera, and here goes some tips on how to whiten your teeth. Be careful with some "magical" unknown products you buy online. Some can truly destroy your teeth. If you are sensitive to in the office dental treatments like Zoom, check if you can use Crest's whitening strips. I am sensitive, years ago I tried them and loved the results. I would start with the 5 minute strips. Then if you can tolerate them well, next time you can try other options: 30min, 1h or 2h. Now they even have them for "sensitive teeth". Most of my clients have been using them before their sessions. These Holidays give your loved ones a life changing experience! GIFT CARDS for our workshops + Photo Session available. Give them now and schedule the one-on-one session anytime along 2017! From $50 up to the full package. Paid by Paypal and shipped to you. Super simple. Special prices for companies and if you buy more than 5. PHOTOGRAPHY THERAPY: We feel great when we make others feel great about themselves. In Brazil, doing free workshops and photoshoots with cancer survivors. So proud of these ladies!!!! Give yourself an original gift! Cheers! A woman can be beautiful at every age, so join us to celebrate and explore new facets and styles from our production wardrobe. You will have a lot of fun learning how to become photogenic and look great on camera ever after!